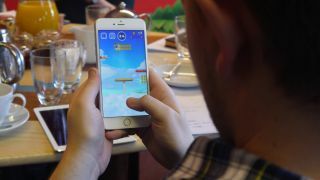 Hey, big spenders: Apple today revealed how much developers have earned through the App Store, and from this figure we can glean just how much users have shelled out on apps over the years. Apple announced developers have earned over $70 billion since the App Store went live in 2008. Taking the tech giant's 70/30 revenue split into account, that means customers have spent over $100 billion in App Store purchases. The iPhone maker does lower its take to 85/15 for developers who offer in-app subscriptions and maintain subscribers for more than year, but Apple enacted that policy just last year. Apple's timing is certainly on point as its big WWDC 2017 conference – an annual event aimed at developers – starts next week. It's here we expect to learn about iOS 11, a new Siri Speaker, possibly the iPad Pro 2 and new MacBooks. Of course, convincing developers to continue putting their apps on the App Store will be a major part of the show's program. It likely won't be a hard sell. Apple didn't stop with an earnings number boast as it also revealed App Store downloads grew by over 70% in the past 12 months, and active paid subscriptions are up 58% since the same time last year. Smash hits like Super Mario Run and Pokemon Go along with unique apps of every type undoubtedly contributed to what Apple's Senior Vice President of Worldwide Marketing Philip Schiller described as record-number downloads. According to Apple, Gaming and Entertainment apps lead the pack when it comes to earnings, while Lifestyle and Health as well as Fitness apps have seen over 70% growth in the past year. And as Apple puts a greater emphasis on its devices' cameras, such as the iPhone 7 and iPhone 7 Plus, it was also sure to point out apps in the Photo and Video category has skyrocketed to nearly 90% growth. But while Apple's figures are impressive, it's also important to look at how they compare to other app marketplaces. Google also has a 70/30 revenue split with Play Store developers, and we've asked the company for figures on how much developers have earned since the Play Store launched. We'll update this story if we hear back.